Casting Call Club : Looking for Macho Man Sound Alike for comic series: DAMAGE SAVAGE! Casting Call for Looking for Macho Man Sound Alike for comic series: DAMAGE SAVAGE! Looking for Macho Man Sound Alike for comic series: DAMAGE SAVAGE! About Looking for Macho Man Sound Alike for comic series: DAMAGE SAVAGE! Like it said in the title, I am looking for an actor who can do a dead on impression of The Macho Man Randy Savage for a mini dub comic series I'm creating on YouTube. 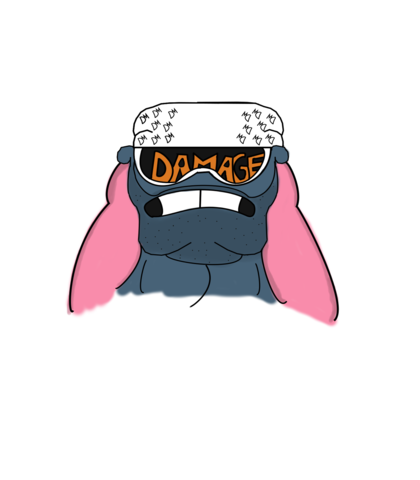 It's called "Damage savage" the character is about a galactic wrestler that's a five time world champion and soon to be a hero as he faces some of the toughest meanest forces of evil known in the Galactic wrestling circuit. He is acompined by his biggest fan, and it's sorta like a Saturday morning cartoon comic book! The payment is $15 per episode. Do it like the Macho Man OOOOH YEAH!!! YOUR GOING DOWN YOU PATHETIC EXCUSE FOR A DOOR TO DOOR TRICK OR TREATER! Well I hate to be in a position that I rather not be in, but all these freaks and weirdos are starting to get on my nervous. Which makes me wanna put them into a choke hold till they turn blue like an igloo! Yumi, all you need right now is the motivation to win that golden bowling trophy, in front of millions and millions of proud parents with one thing on there minds, happiness! Now get out that and show them you are a happy little winner! His voice is based on Richard Horvtiz from Billy and Mandy, invader zim and Choas from Skylanders. I beg you to give me everything you got with this character, cause he has a lot of energy and is EVIL! *Evil Laugh* Now kneel before the great and powerful...and devilishly handsome LORD EMPEROR PIE! HA HA HA HA HA HA HA! Fools they think they can stop me? the great emperor?? Well there...WRONG! STOP! DESCEAD THIS INFERNAL LAUGHING! Or so help me I'll rain on your parade like a pigeon dropping Sunday, with extra droppings! Death...Enough said. He is wise, sar and sometimes gentle...we really need someone who can do a proper good Billy Conlly Accent So if you can, please audition! There's no need for that kind of talk sonny Jim! If I was a hundred years old again I'd give you such a thrashing! Aye this lad's got one chance to proof himself, if he fails I'll kick him up the back side! RayCoon is a teenage Racoon who is also half thief and body guard to Cecila. His job is to protect her from Zombies, Demons and of course weird shape shifting ponies! The voice I'm looking for is Smooth, raspy, in a medium low tone. Oswald? *grunts* if one kid wasn't bad enough! What did I say about touching things that shouldn't be touched in the manor!? Drake, buddy? Stop fooling around on the ceiling, your father wants you home now! Cecilia is teenage Vampire Princess and is the only female member of the group. She has a lot of energy, happy and sarcastic! Her voice is medium raspy sort of like Vanellope from WIR but I want you to suprise me! Ray we all know what your capable of you can crawl on walls, bust some moves and even burp out snot fire when someone dares you. But going out with someone who isn't really your type, that's something I wouldn't do in a million, billion years!